Because the Heart may be on the left …. 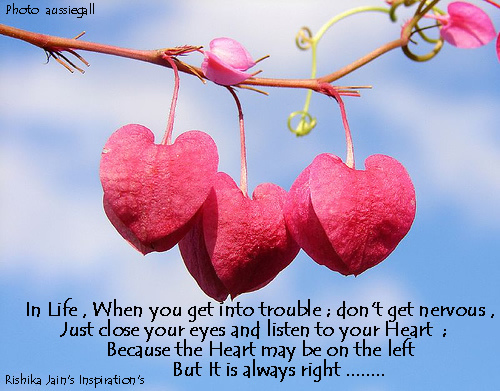 But It is always right …….. 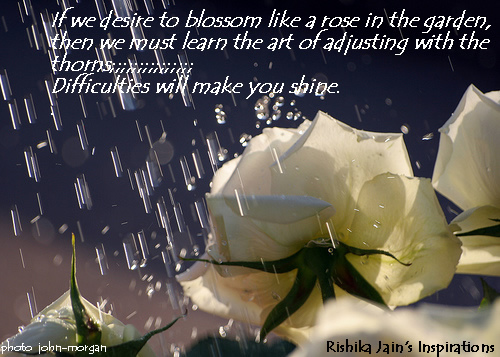 If we desire to blossom like a rose, then learn to adjust with the thorns. 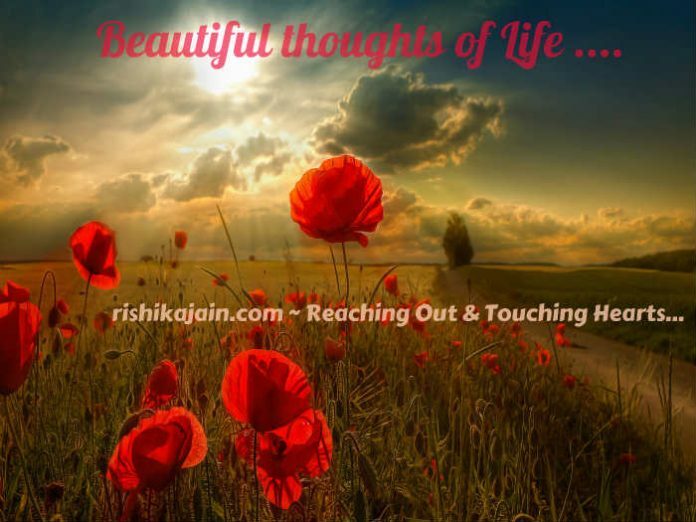 If we desire to blossom like a rose in the garden, then we must learn the art of adjusting with the thorns… Difficulties will make you shine ….. If you want something you never had, do something you have never done…..
Don’t go the way life takes you, Take life the way you go…. 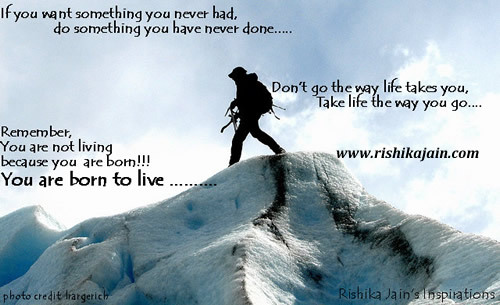 Remember, You are not living because you are born!!! You are born to live ..
Life is too short, so never miss anything that makes you happy. 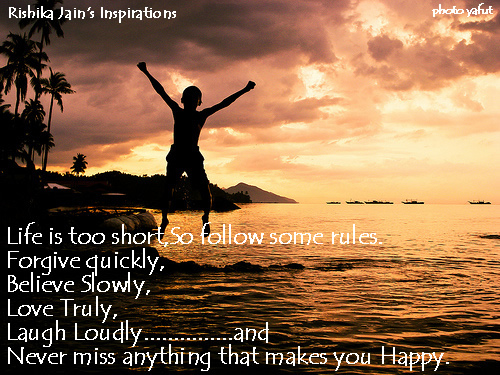 Life is too short, So follow some rules. Forgive quickly, Believe Slowly, Love Truly, Laugh Loudly….. and…… Never miss anything that makes you Happy !!!!!! 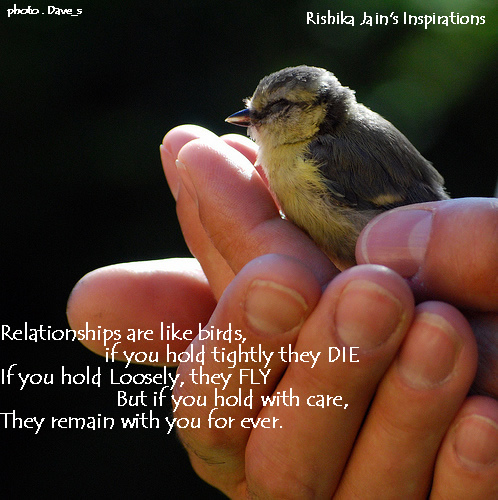 Stones in the path of success …….. 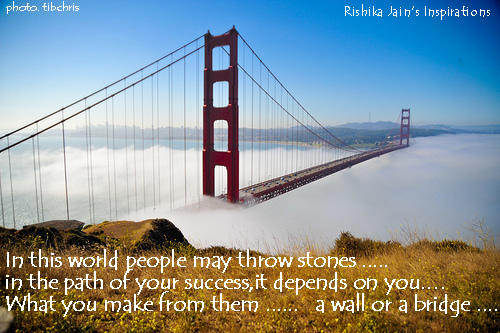 In this world people may throw stones in the path of your success, it depends on you ….. What you make from them …… a wall or a bridge.